Last month, I had the opportunity to attend the International Photo Booth Convention in Chicago. You might be wondering what exactly is this convention? 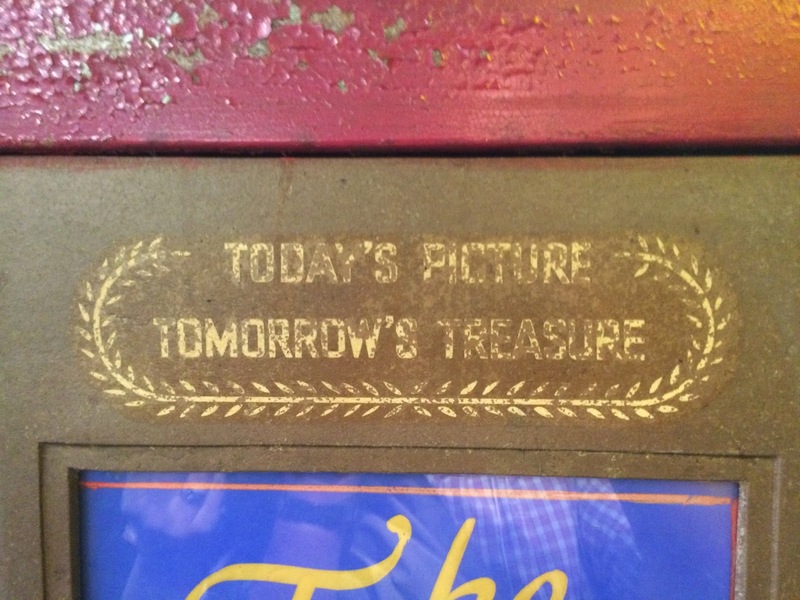 It is for the small group of die hard enthusiasts who appreciate the charm of a vintage photo booth. My wife is one of those such souls, so I often have to accompany her to these events. 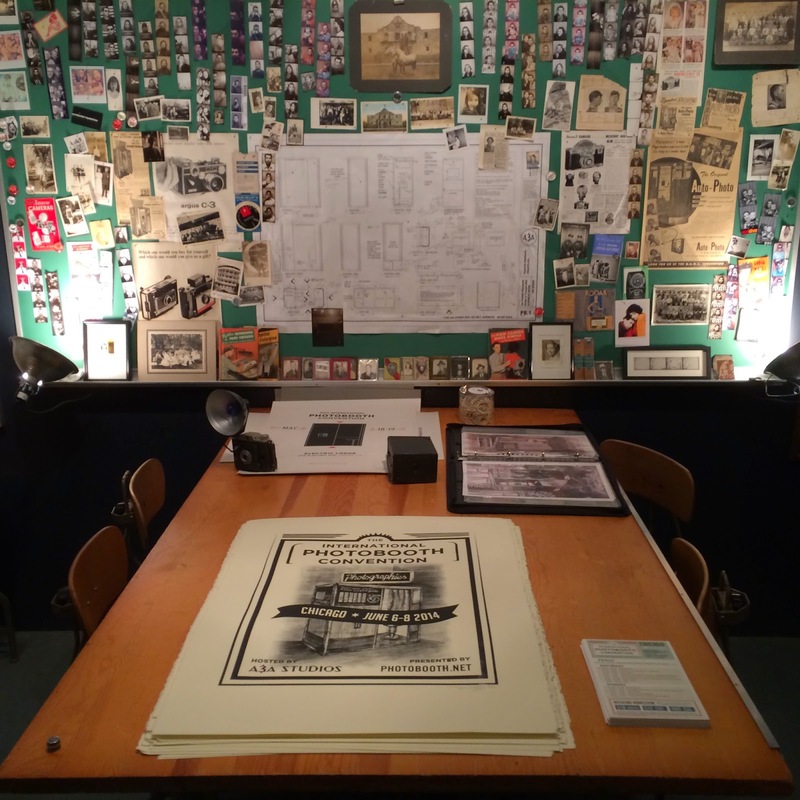 If you follow this blog on a regular basis, I have detailed our adventures in other cities. Much like the automobile enthusiasts with whom I spent almost every weekend, photo booth enthusiasts have a found connection to older, simpler technology and an appreciation for yesteryear. 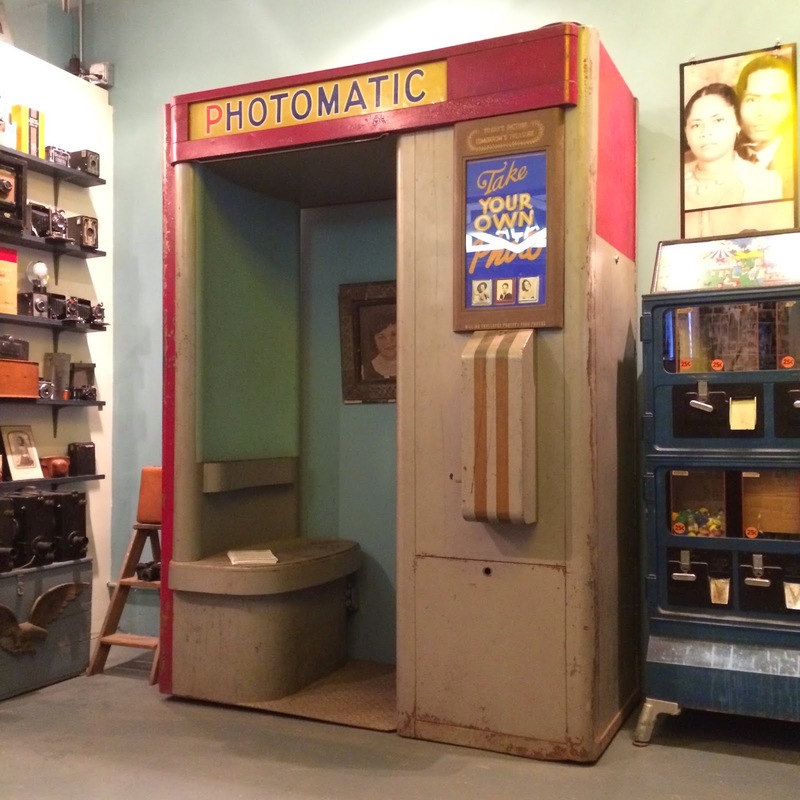 Digital photo booths are becoming more popular since they are much easier to transport, maintain and use, but these purists love using and maintaining booths from the 1920s-1950s. 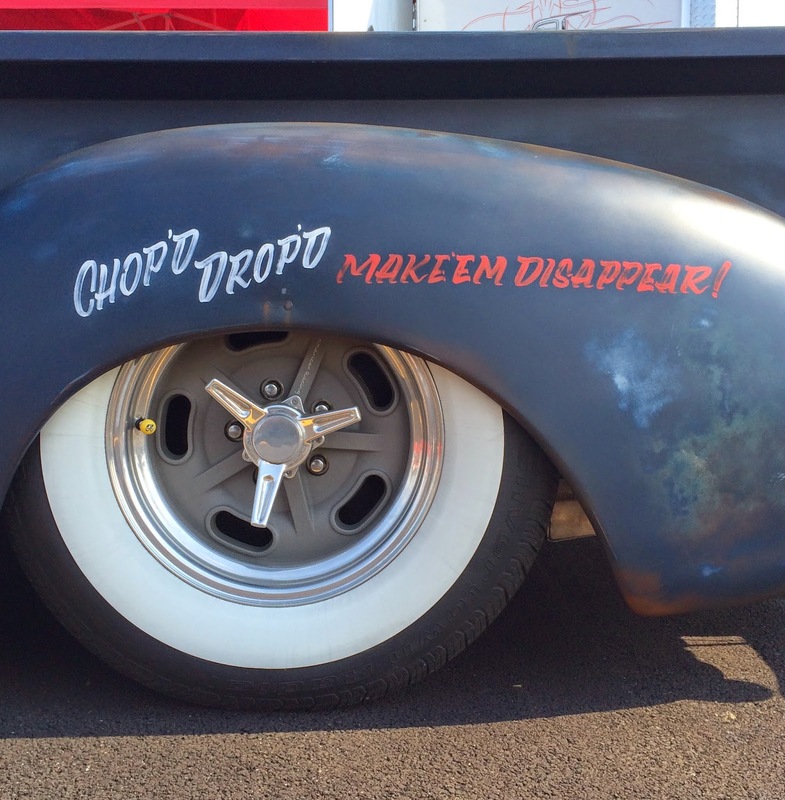 Sound just like hot rodders, right? 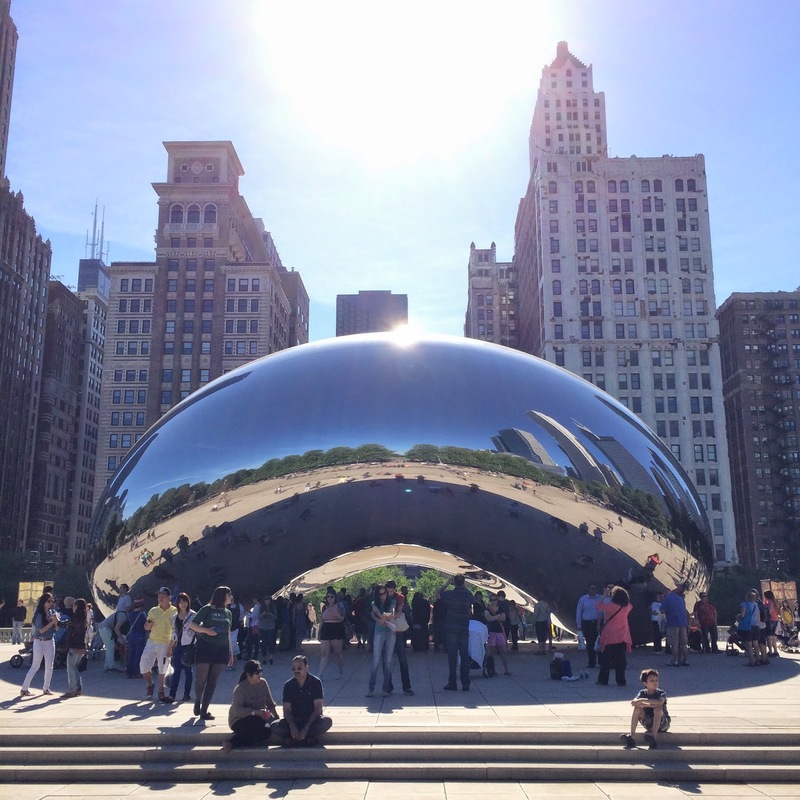 Before the convention activities kicked off, my wife and I visited some Chicago tourist spots. Here are a few highlights. 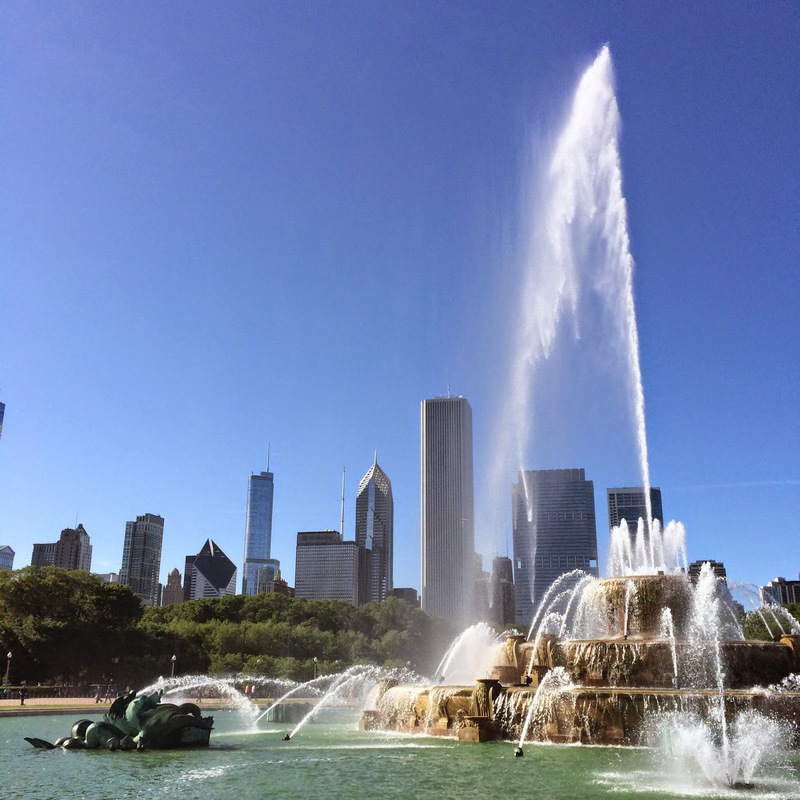 Buckingham Fountain (some of you might recognize it from the opening to Married with Children). 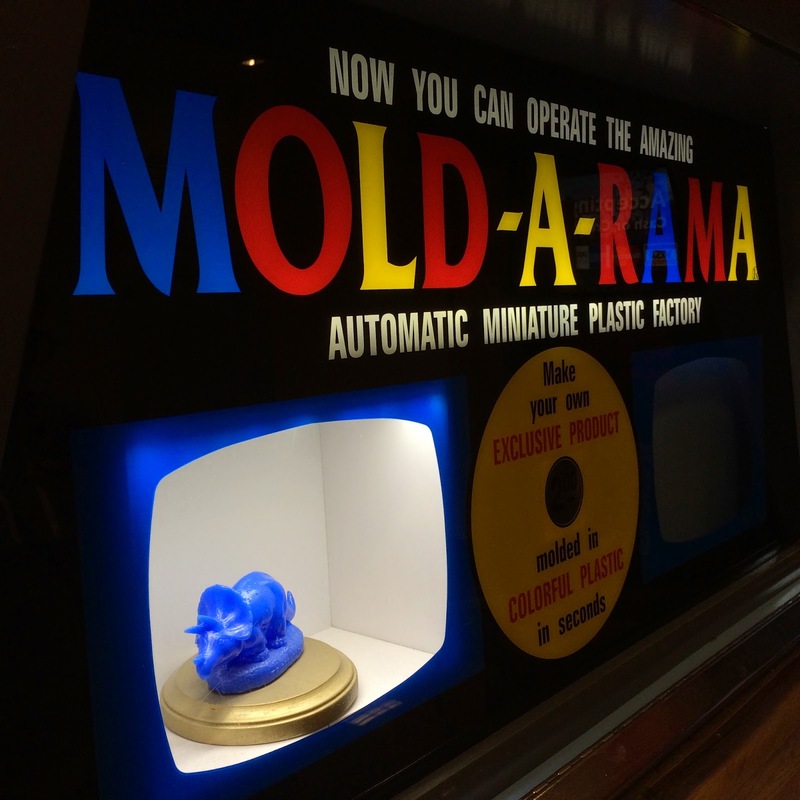 At the Field Museum, we were excited to find a few Mold-A-Rama machines. These cool machines pop out mini wax replicas of various dinosaurs. Just a throwback to our childhoods that we love. 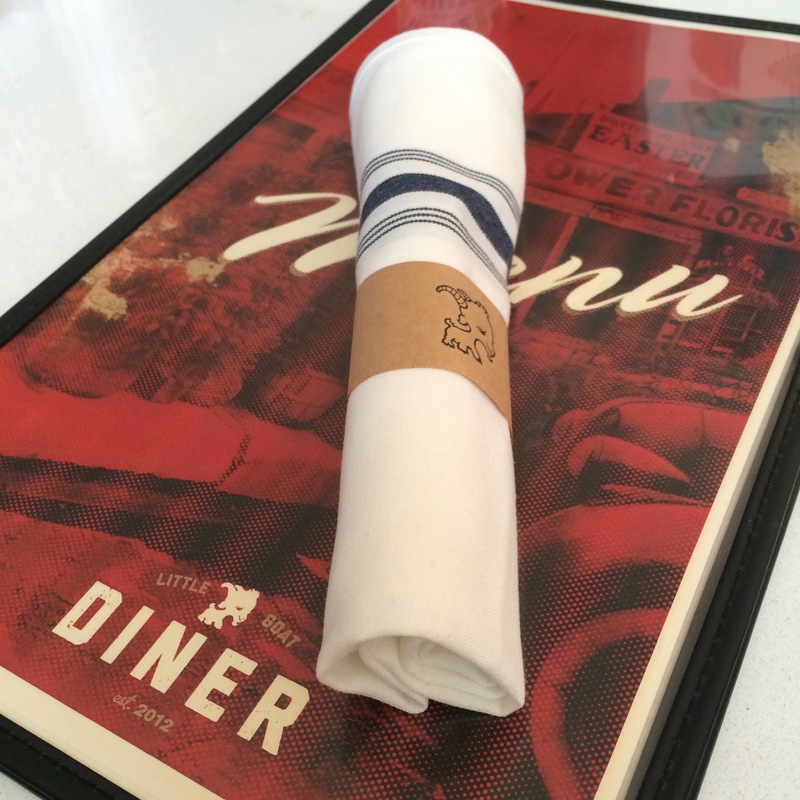 All the fuss of the Little Goat Diner is well deserved. It was hands down our favorite restaurant in Chicago. I think we actually ate three consecutive meals at this diner. It was slightly embarrassing to be recognized by the prior night's waiters while we ate breakfast. 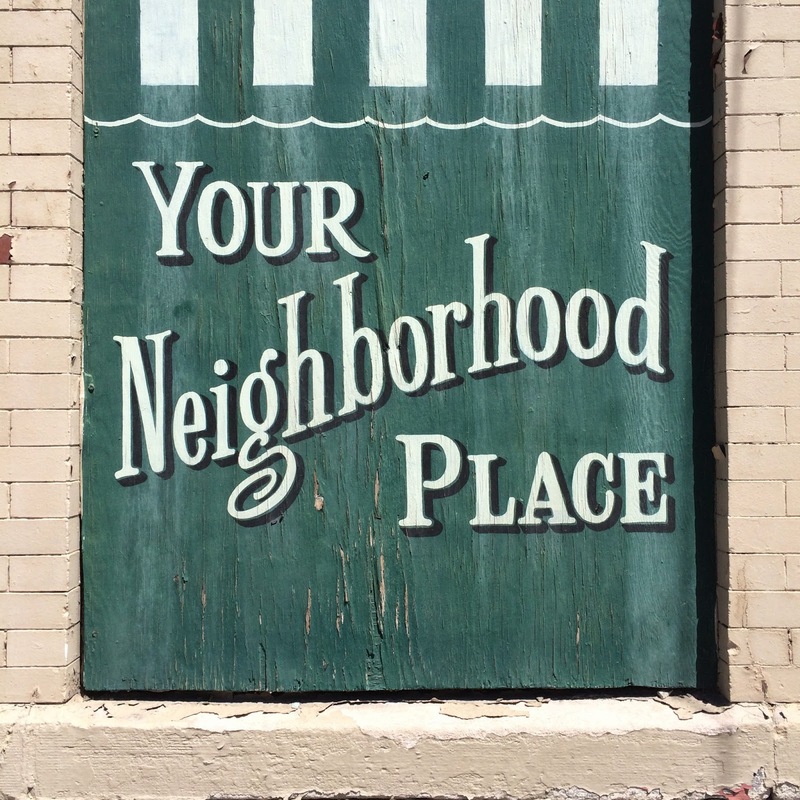 Cool sign just off of Randolph St.
No trip to Chicago is complete for a sports fan without a visit to Wrigley Field. This old park isn't that nice, but it is celebrating 100 years this season so it was definitely worth a visit. Now, back to the convention details. The convention was held at A&A Studios in Chicago. 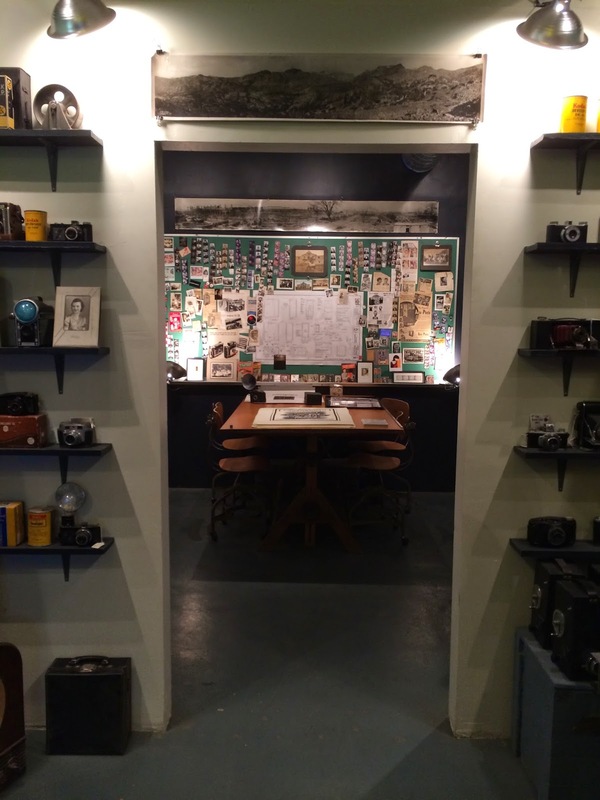 A visit to this studio is field day for vintage photography lovers. 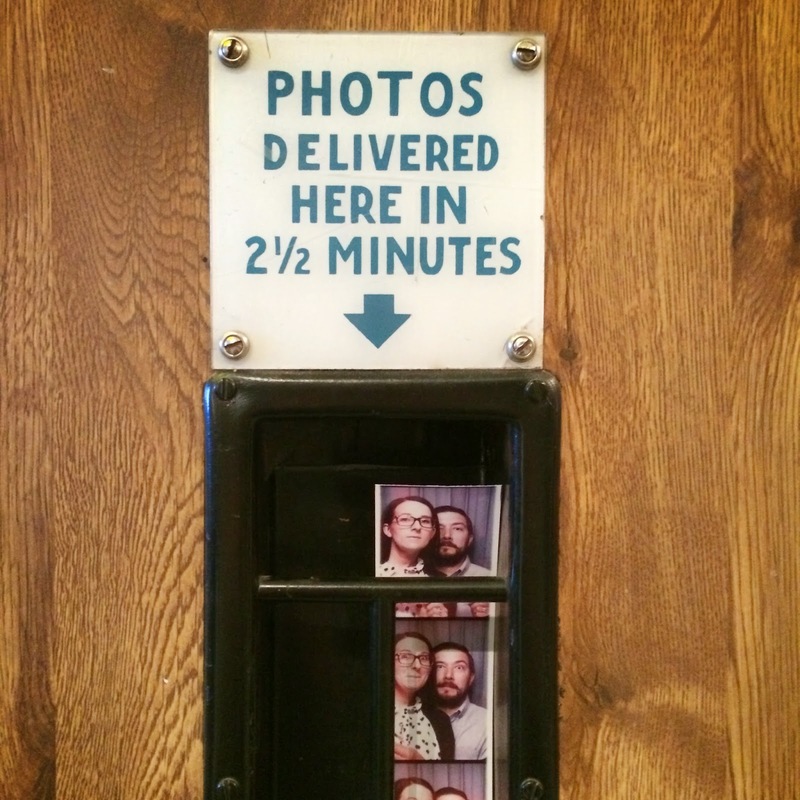 There is a great collection of vintage cameras and of course, photo booths. The company rents them out for special events, so they had a nice collection available to convention attendees. 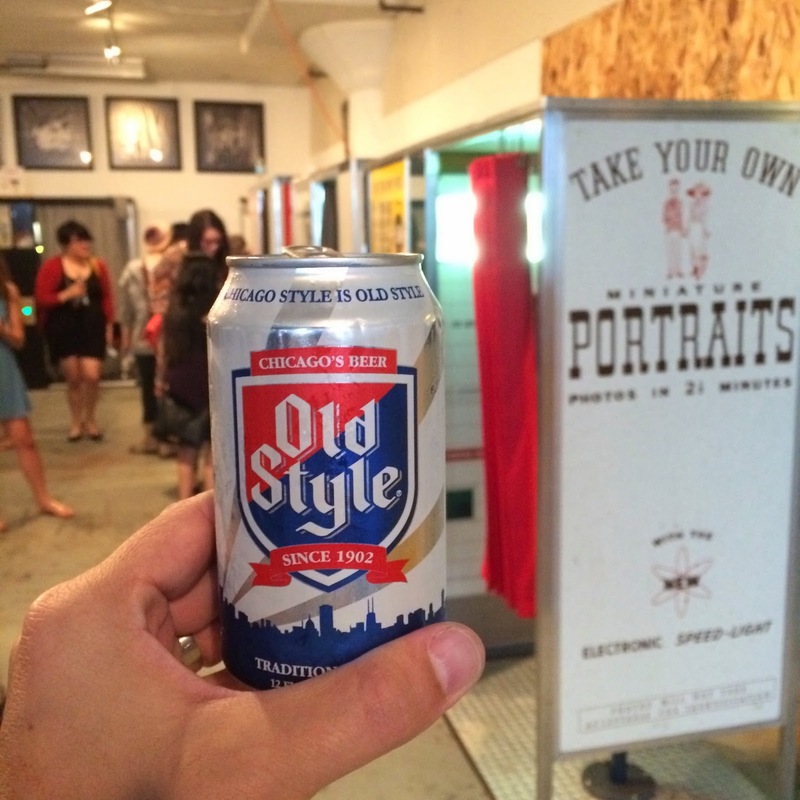 Just like hot rodders, photo booth enthusiasts also love cheap beer. The opening night party had cool beer and a number of photo booths on hand for attendees to enjoy. During the weekend long convention, the promoters from Photobooth.net hosted seminars ranging from proper photo booth maintenance to art projects and best photo preservation methods. Thank you to Brian, Meags and everyone at Photobooth.net for putting all of the work in for a great event. 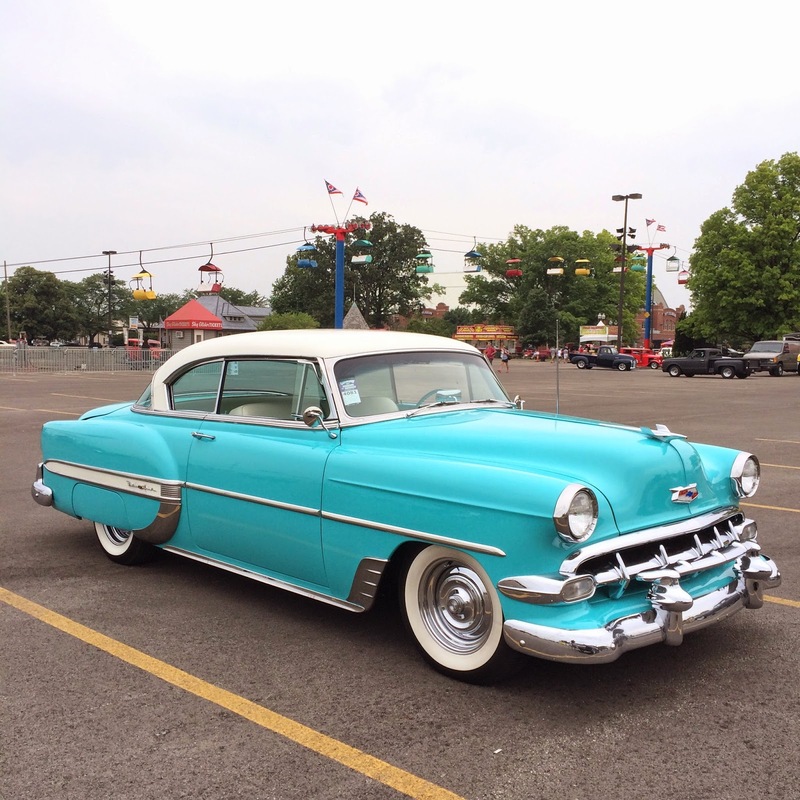 We look forward to the next convention and hopefully it is not the same weekend as a classic car show. If you are interested in more information on Phootobooth.net and its convention, please visit the official website. 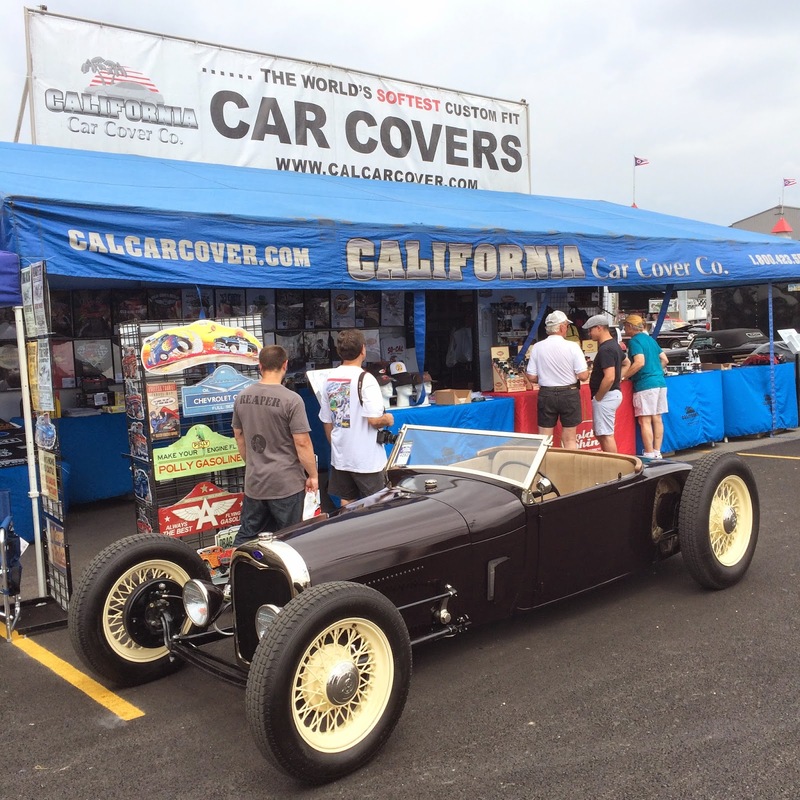 Over the weekend, the California Car Cover Crew and I were at the 17th Annual PPG Nationals held in Columbus, Ohio. 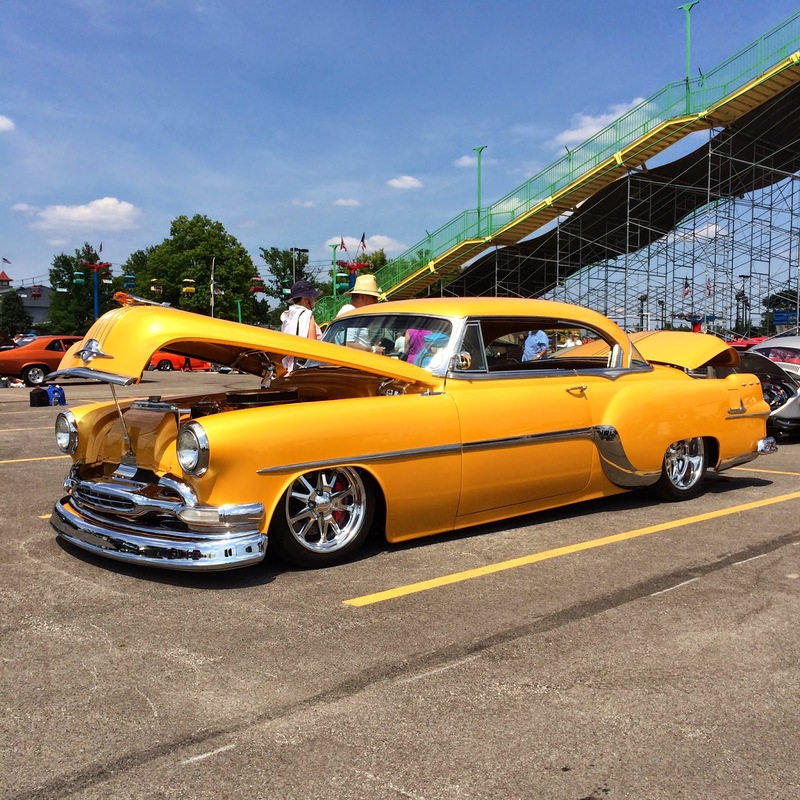 This 3-day car show is the largest event of the year for the Goodguys Rod and Custom Association. 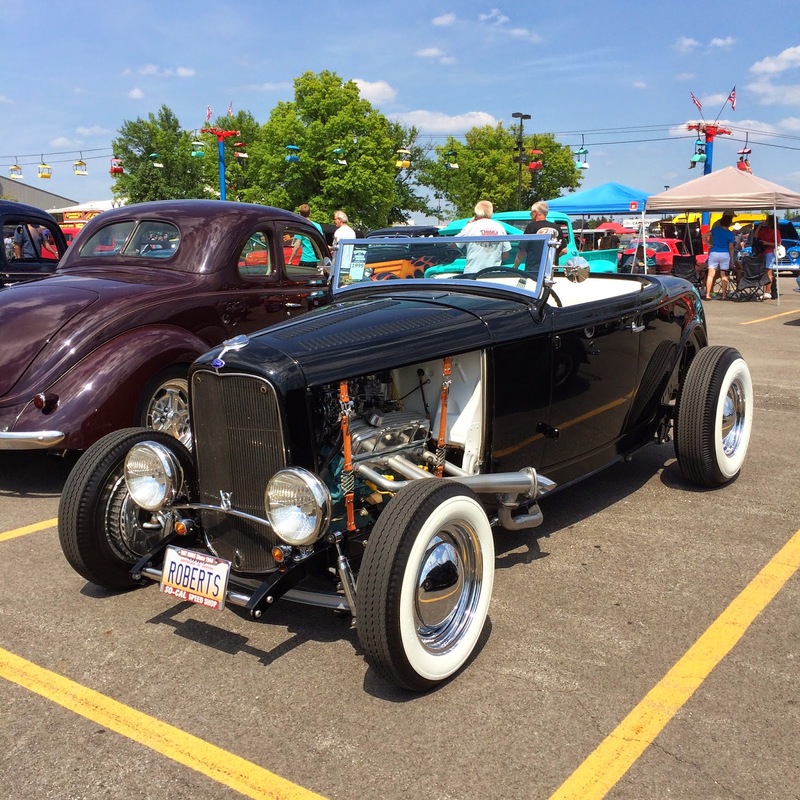 The event attracts 1,000s of cars to the Ohio State Fairgrounds for a weekend of classic cars and rock and roll in Ohio. 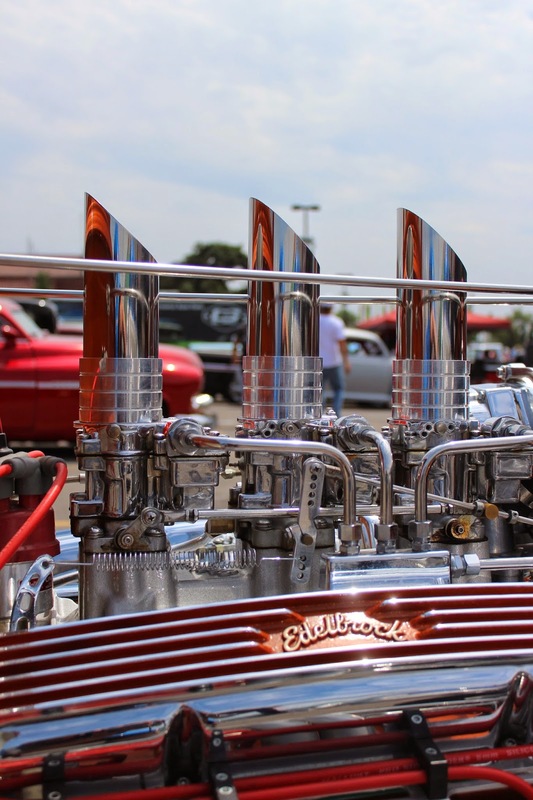 The show features the a large car show, swap meet, vendor midway, Auto Cross and the crowning of Street Machine & Street Rod of the Year. There were plenty of cars at the show first thing Friday morning. This restored VW was parked right next to the California Car Cover booth. Our friends from Jeg's Mail Order were out at the event. Custom Ford with a mural of vintage Ohio graphics. 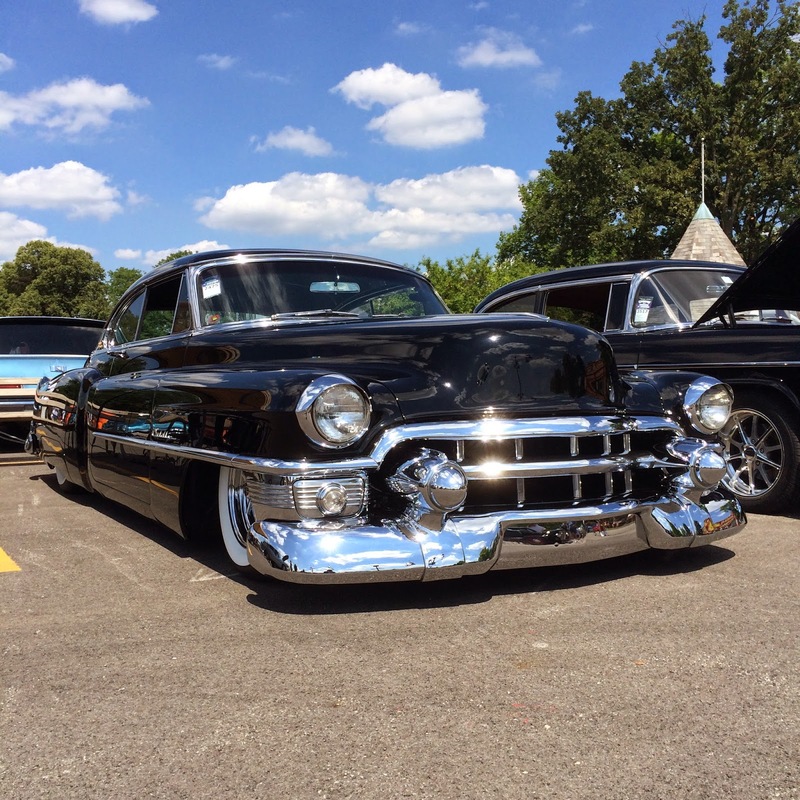 There were a number of cars at the show that were in competition for the Street Rod of the Year. All of the contenders were on display at the show on Friday. 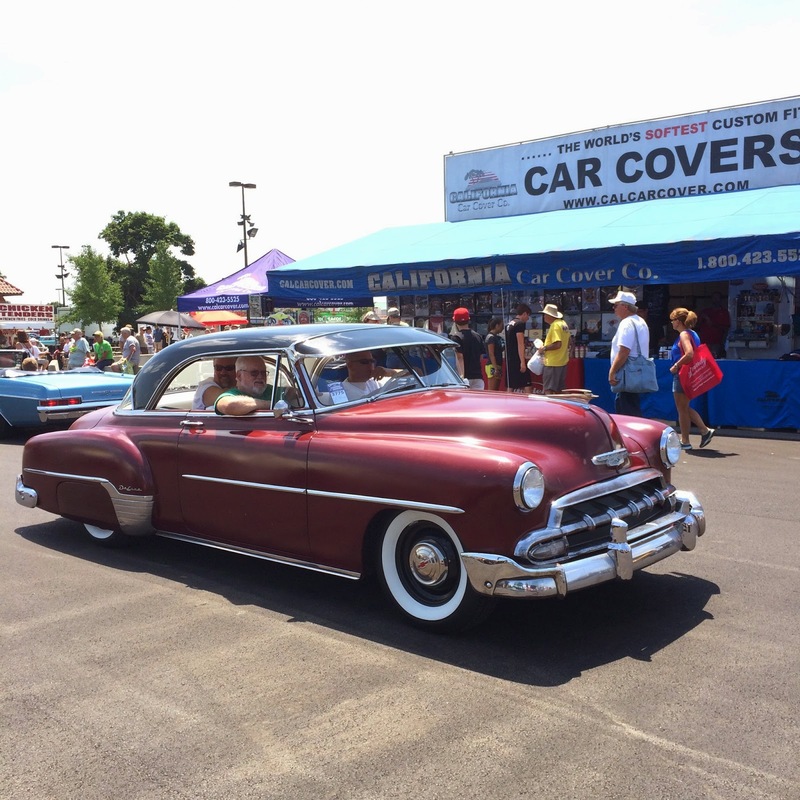 Cars cruised into the fairgrounds all morning. 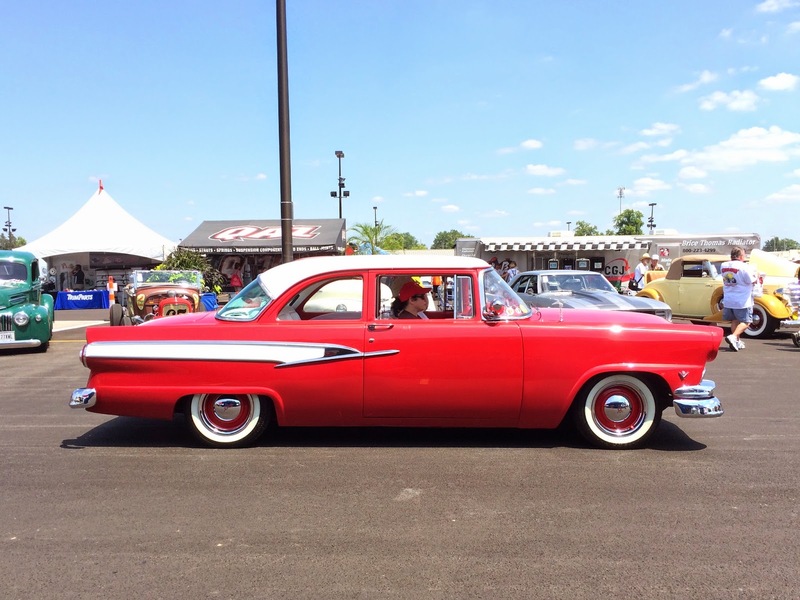 Spectators lined the roads to check out all of the classic cars as they drove by. 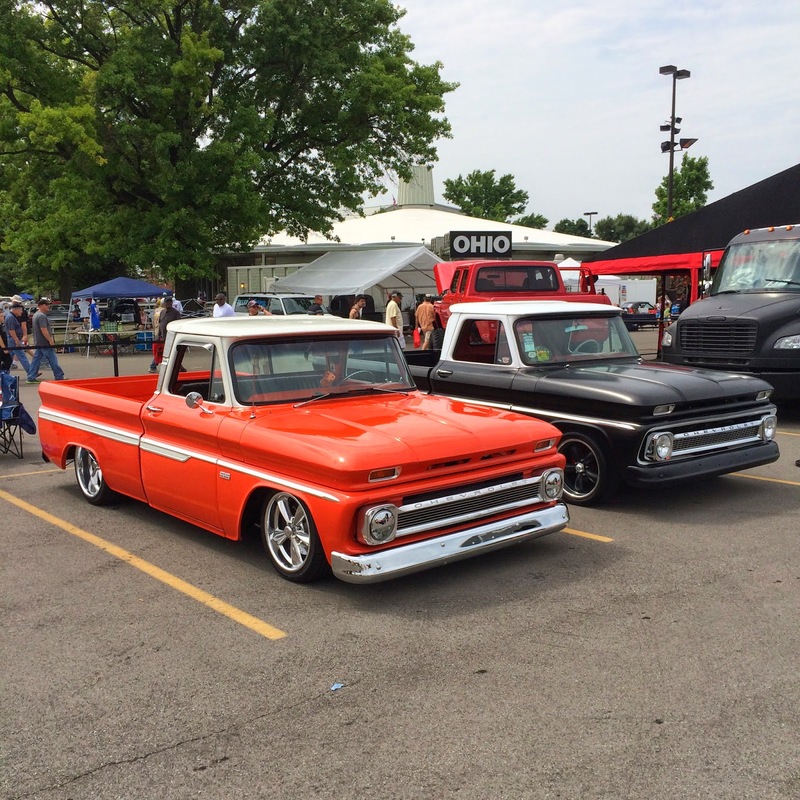 The Auto Cross attracted a lot of high performance muscle cars to the Ohio State Fairgrounds. The drivers competing throughout the weekend. 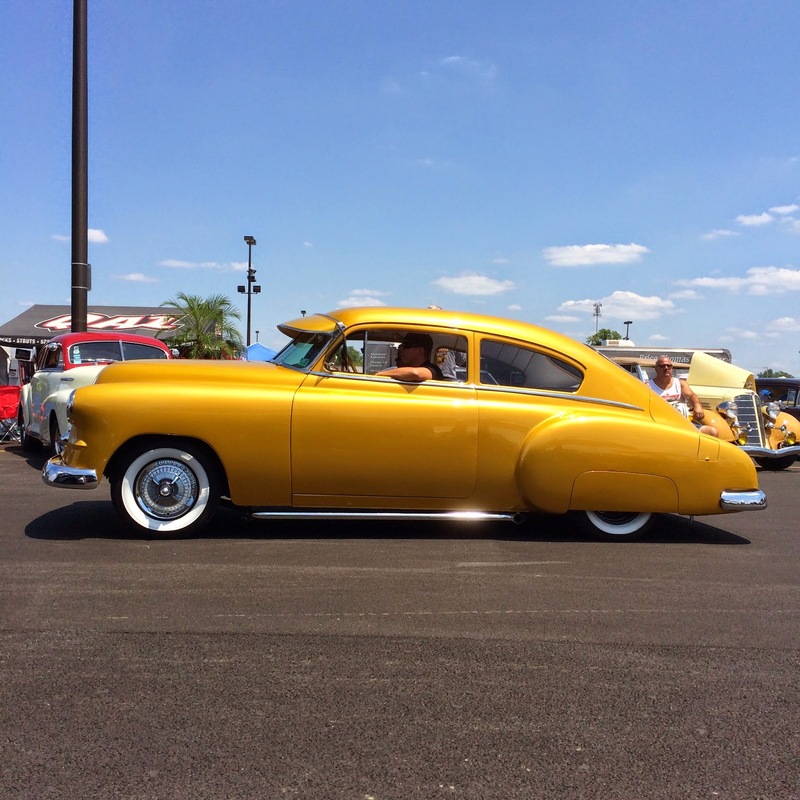 There are always a lot of Chevy Novas on display at the Goodguys Columbus car show. Our friends from the Church Boys had a number of Chevy Novas at the event. 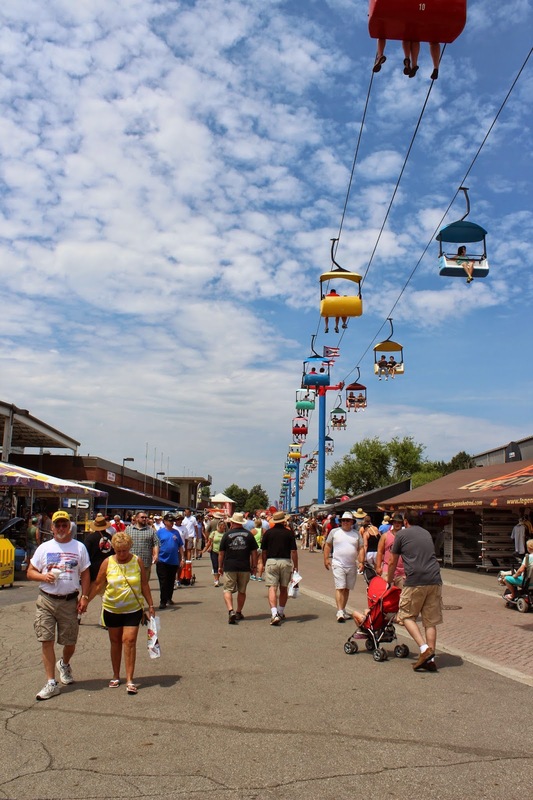 The midway was packed with classic car enthusiasts all weekend. The Patina Plantation got a lot of looks all weekend. 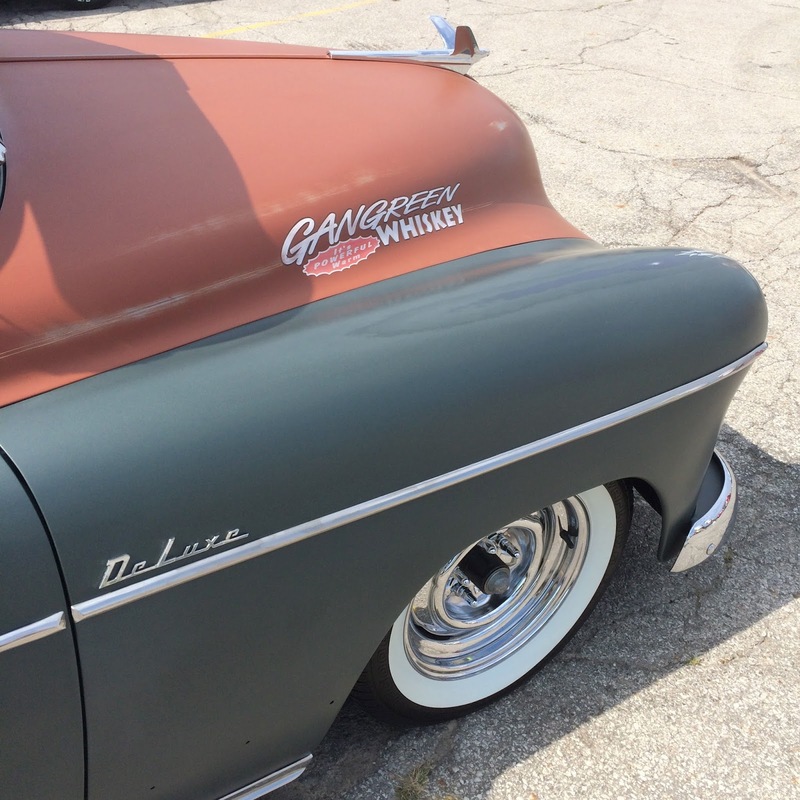 The car show was a little quieter on Sunday, but it gave me a chance to walk around and get a closer look of many vehicles. 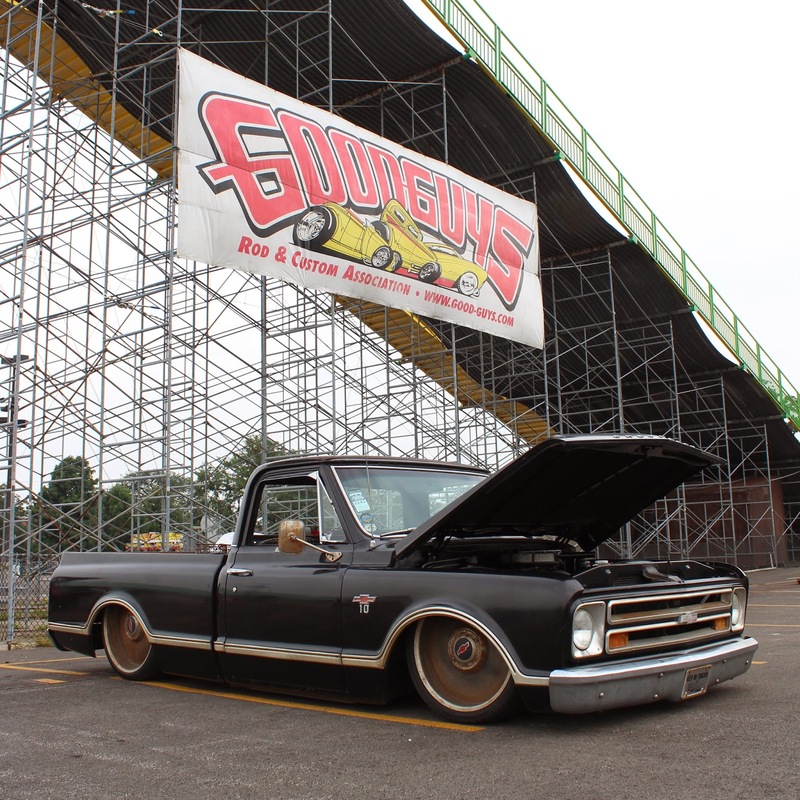 There are always plenty of Chevy C-10 pickups at Goodguys events. 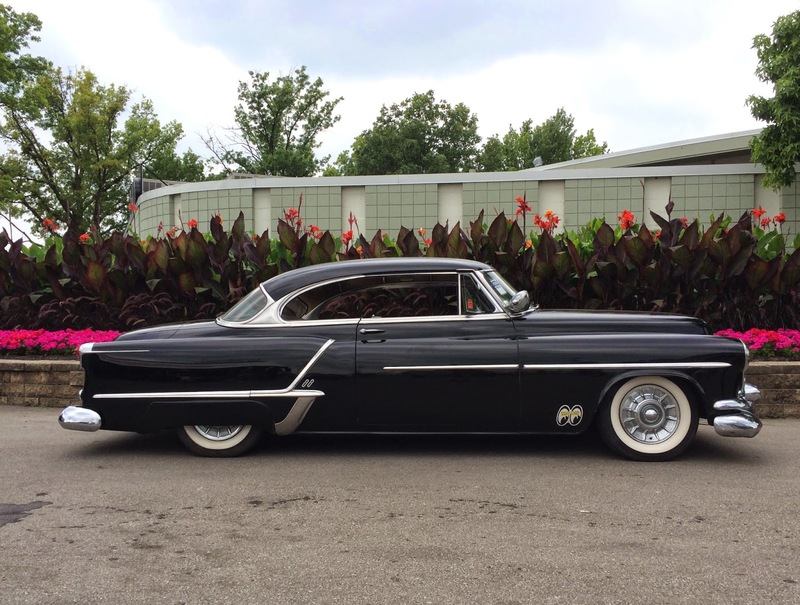 This space ship showed up on All-American Sunday, so evidently there is an American motor underneath the hood. Custom Chevy Camaro at the show. 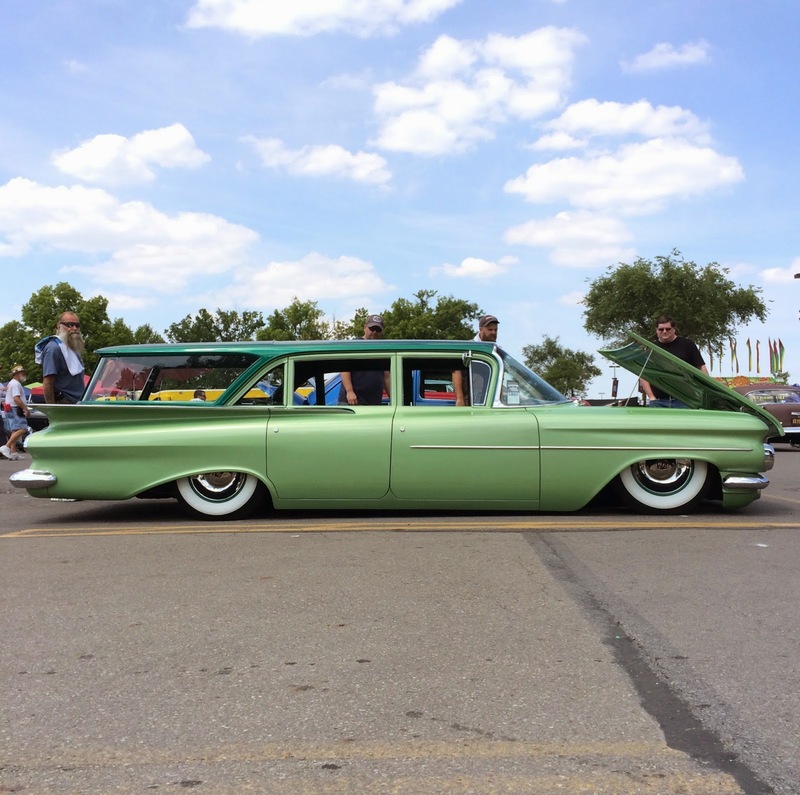 This low Chevy wagon got a lot of attention. 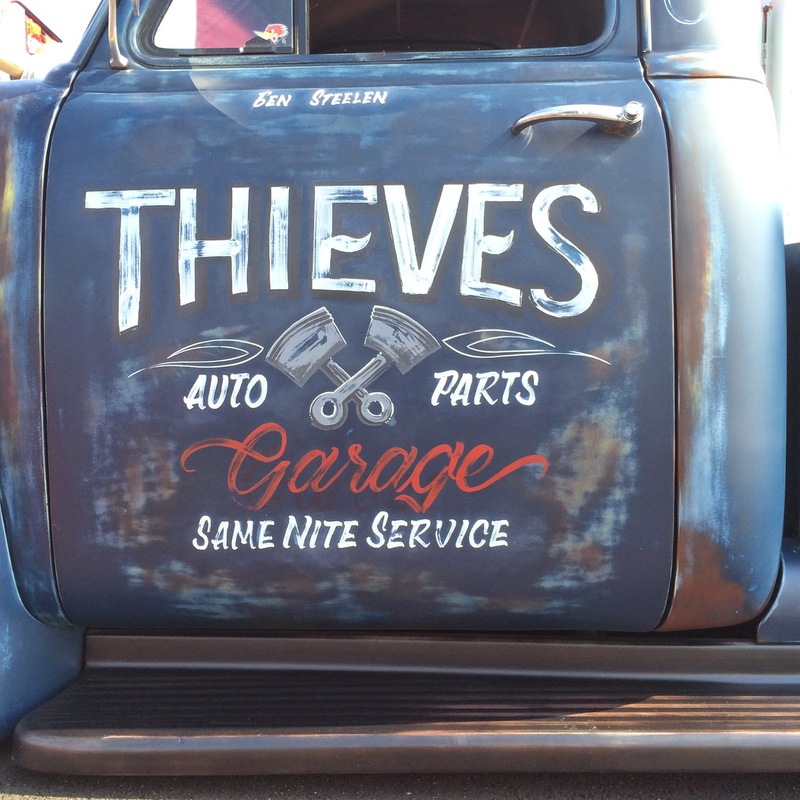 There was plenty of custom art and pinstriping on the hot rods at the show. 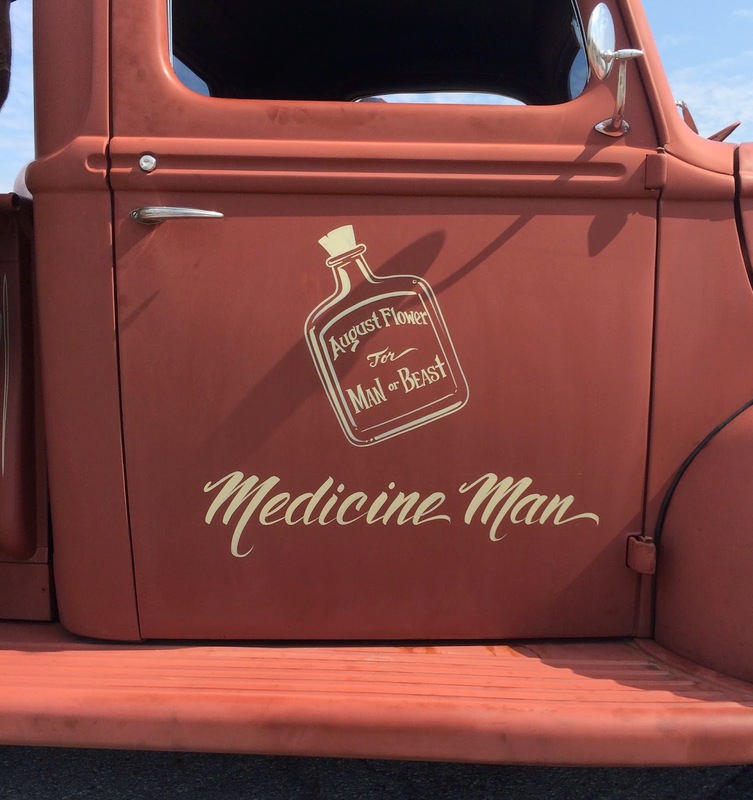 Here are a few examples of the truck door art and detail I spotted at the show. Custom hot rod from our Instagram page. 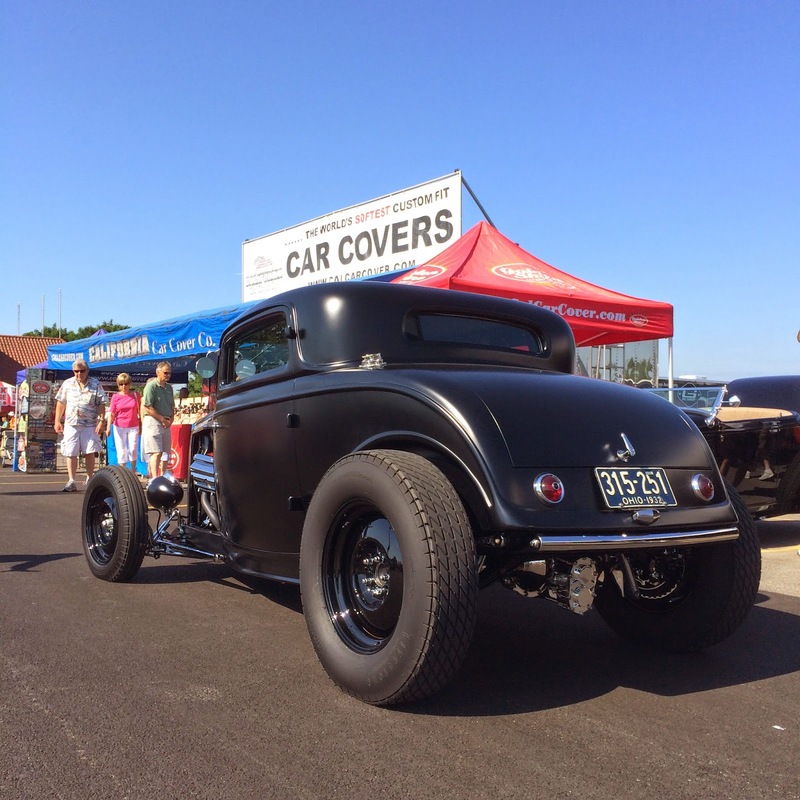 This '29 Ford was at the booth on Sunday to get fitted for an interior cover. 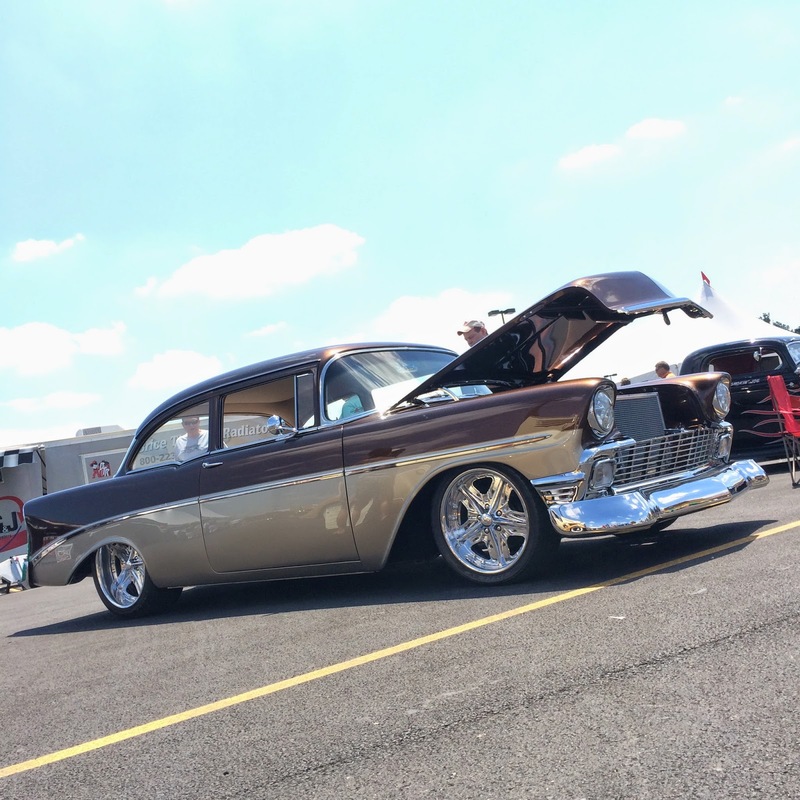 Thank you to everyone at Goodguys for the hospitality over the weekend. We had a great time at the show and look forward to 2015. Stay connected with us on Facebook in the meantime. 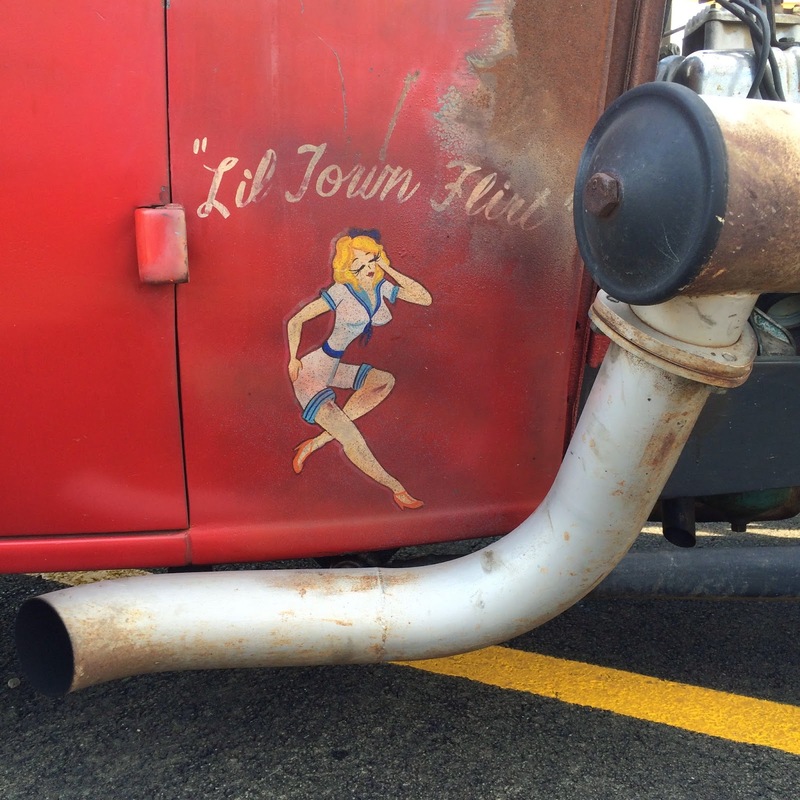 Check back in the coming weeks for more car show event coverage.